Award season. Movie reviews & recommendations. I absolutely love award season. I love the Golden Globes and the Oscars. I love seeing what movies & actors/actresses are nominated for awards and then watching those movies to establish my own feelings about what movies & actors/actresses should win. Since I’ve seen the trailer for this movie: I was sucked in. Initial interest for the movie came from an article posted about a well known local wrestling coach near my hometown, who plays a ref in the movie. I was completely fascinated by the psyche of John Du Pont and the journey the Schultz brothers took with him. Steve Carrell is amazing as the creepy John Du Pont, and genuinely takes on the character. I watched interviews of John Du Pont and was so surprised by Carrell’s performance of him, right down to Du Pont’s turned up nose and mannerisms. Carrell typically plays a comedic role so to see him take on something so serious was refreshing and powerful. He was nominated for a Golden Globe and the nomination was deserved. Mark Ruffalo, who also was granted a Golden Globe nomination, plays Dave Schultz and successfully depicts him. The real Dave Schultz’s wife lended some of Dave’s real items such as his glasses which Mark wears in the movie. 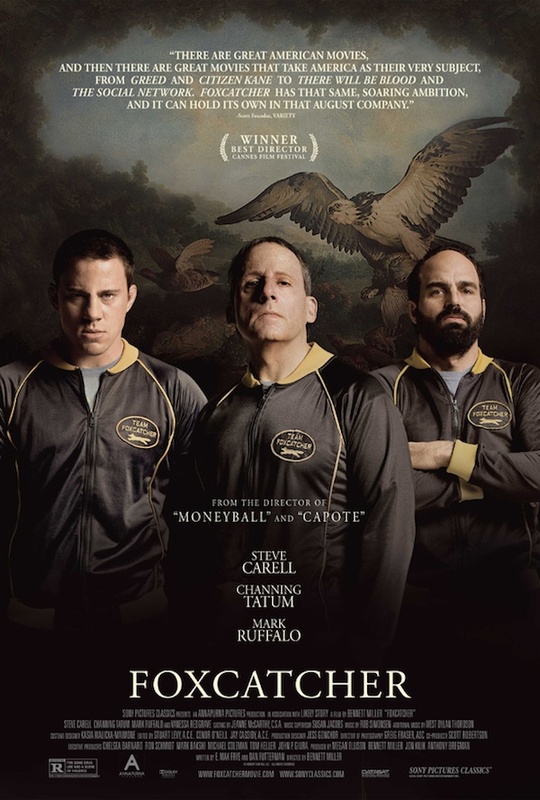 Channing Tatum plays Mark Schultz and successfully portrays the up’s and the down’s that he experienced while living on Foxcatcher Farms and having Du Pont as a mentor and coach. Amazing movie. I highly recommend it. Wow. Just wow. This movie left me speechless. 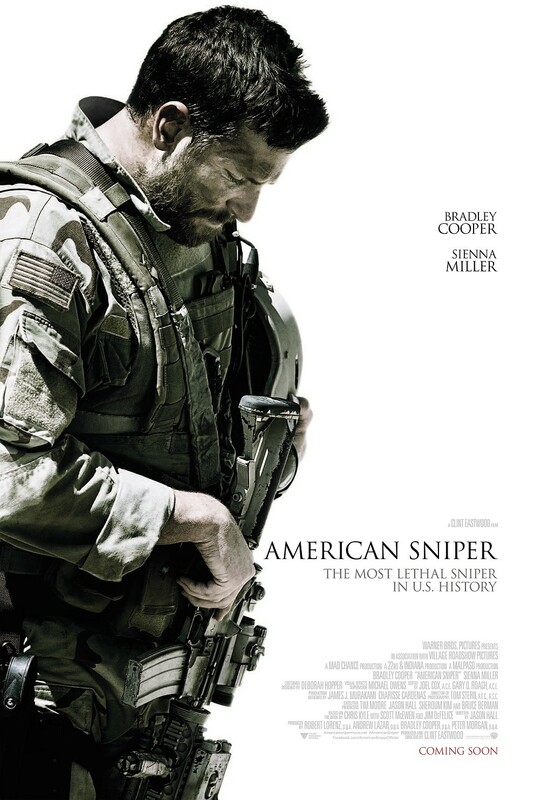 Bradley Cooper plays Chris Kyle who was the most lethal sniper in United States history. I was left stunned by Cooper’s performance. The truth of the hardships war brings to the soldier and his/her family was brought to light. Sienna Miller plays Chris Kyle’s wife and truly made me feel for all of the wive’s that are left on the home front trying to keep their families together when their husband is away at war. When the husband returns, sometimes the struggles continue as many soldiers battle with Post Traumatic Stress Disorder (PTSD). This movie made me appreciate the sacrifices that soldiers make to maintain our freedom in the United States. The real footage at the end of the movie will leave you with chills. I recommend this movie to all. 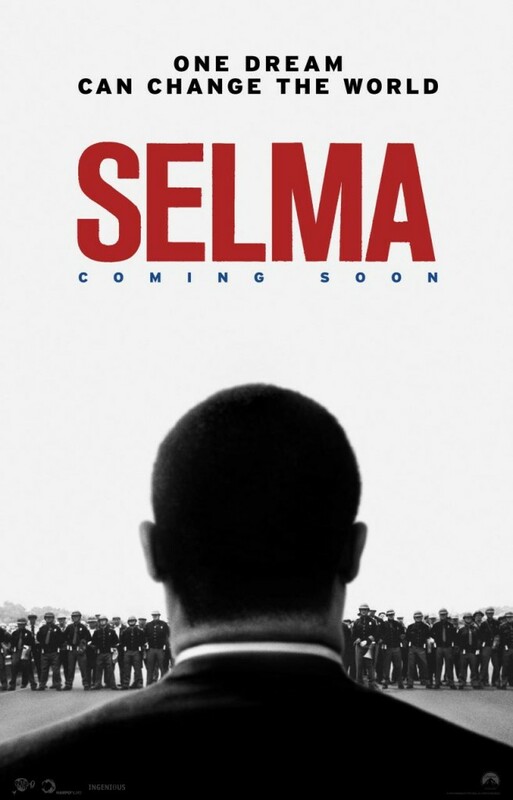 Selma portrays Dr. Martin Luther King Jr. and his campaign for racially-based voting discrimination in the U.S. to be legally prohibited in 1965. The movie depicts the hardships and challenges that so many faced while fighting for civil rights. I cried multiple times throughout the movie and was shocked at the brutality and hatred they faced. I was inspired by those, black and white, who fought for what was right in the face of overwhelming disgust and suppression from many. Wonderful movie. Wonderful actors. Wonderful movement & message. 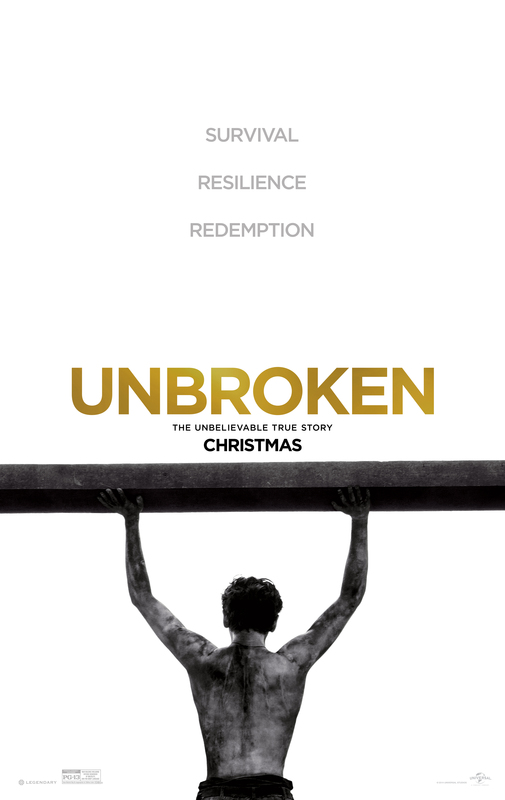 Unbroken is the true story of Olympian Louis Zamperini who survives 47 days at sea after a plane crash, only to be rescued by the enemy (Japan) and is held as a Prisoner of War. Zamperini is tortured and beaten and miraculously survives the war. His unbreakable spirit is displayed by Jack O’ Connell who does an amazing job at telling Zamperini’s true story of resilience and survival. Unbroken is directed by Angelina Jolie, who formed a friendship with Zamperini. Zamperini passed away a week before the movies release. Zamperini is a true American hero. This story is remarkable. A must see!